Late last year I transported myself a bit farther than normal on my bicycle. The occasion was a weekend in the woods with the families in Felix's class. The destination was about 21 km north of Copenhagen. 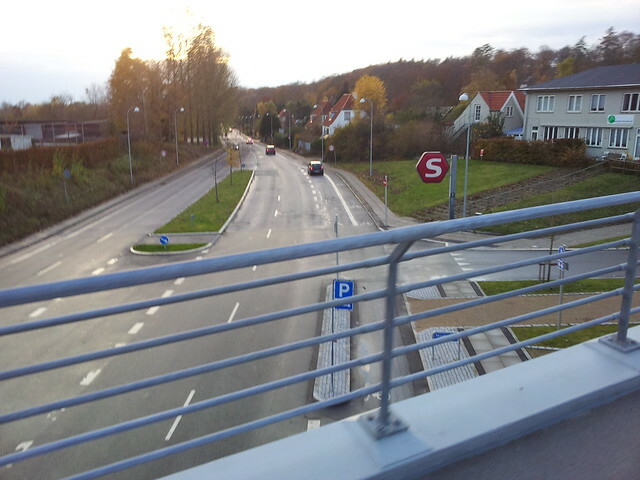 Somewhere near Værløse. Which is "Middle of nowhere" (MoN) to this city boy. Normally, I don't bother going farther than IKEA. But I'll ride my bicycle there every time. I'm not a cyclist. I don't demonstratively ride my bicycle everywhere. 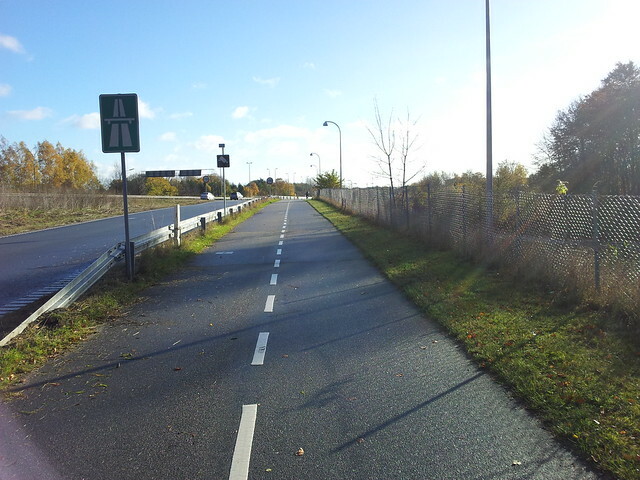 Like almost every Copenhagener I don't know how many kilometres I ride each year. I'm just a guy who uses a bicycle because it's practical. 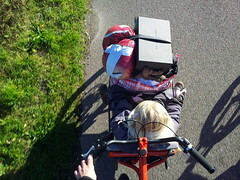 With Felix and Lulu in tow, we had three options for getting there. 1. Take the train and then a bus. 2. 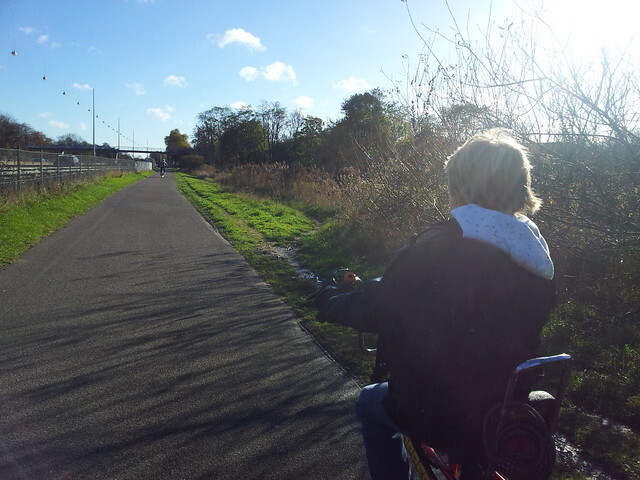 Take the bikes on the train and ride the last 5 km. It was number two if the weather was crap. I asked Felix if he thought he could ride 21 km and he was up for trying. Turns out the weather was fine so off we went. If you want to see the route, we tracked it on the Endomondo app. 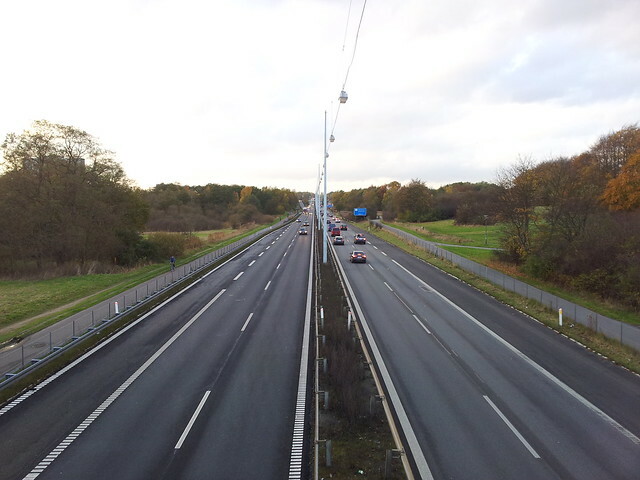 All the motorways - and roads for that matter - leading to Copenhagen have cycle tracks on both sides, as you see in the photo above. So getting there by bicycle was no problem. 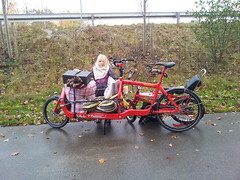 We loaded up the Bullitt with all the gear required of a weekend trip with a single dad and two kids - duvets, pillows, etc. and off we went. Felix was on his Chopper and raring to go. 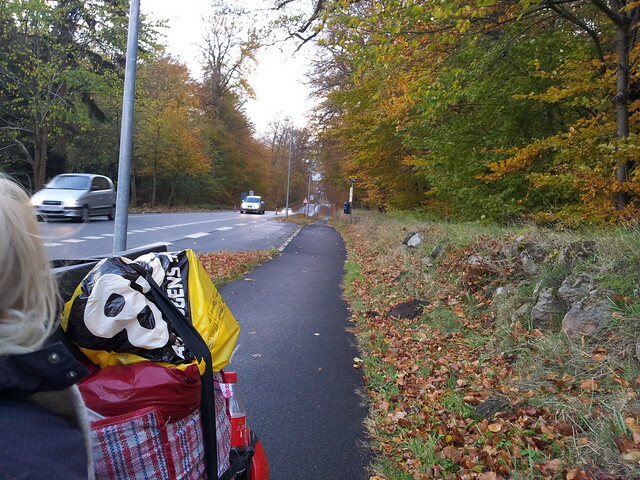 Along most of the route parallel to the #16 Motorway, the asphalt was so fresh you could almost smell it. What a splendid ride on that surface. 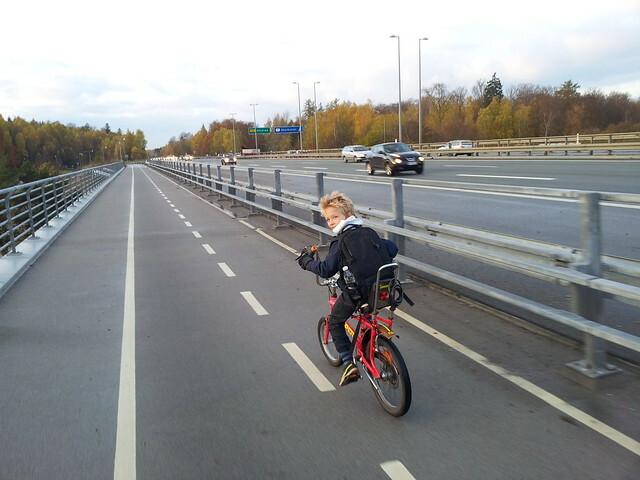 Lovely, wide cycle tracks on both sides of the motorway. Along many sections, the cycle track is bi-directional - never, ever in the city - but because of the desire lines of the people along these routes, it makes logistical sense. The volume of cyclist traffic out here is, of course, nowhere near the levels in the centre of Copenhagen and there are few intersections, so it makes rational sense. We passed Skovbrynet Station on the bridge. Low traffic volume for cars and so there are painted lanes along the road below. Although a separated cycle track in the foreground up to the entrance to the station. These painted lines are getting quite rare. Many municipalities upgrade to separated cycle tracks because they know they encourage more people to ride. Off the motorway we came. 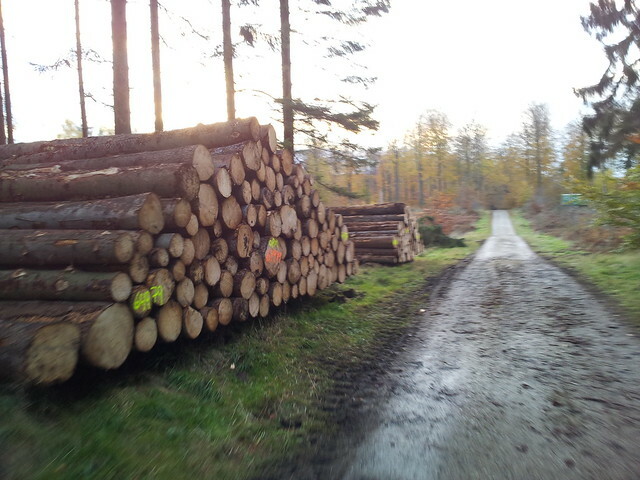 We took a shortcut through the woods - Hareskoven. Lovely in the autumn light. This neck of the woods is mountain bike heaven. Or so I've read. On the other side of the woods we were back on cycle tracks. A bit narrow here, but this was an exception. It was a road cutting through the woods. Not exactly a bicycle user expressway. Through small towns we were on separated cycle tracks once again. 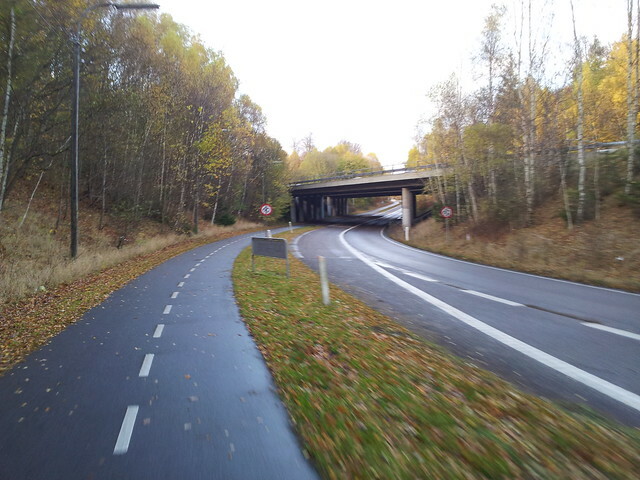 As we ventured out into the country the cycle tracks started to separate from the roads with a verge, as per Danish best practice. When the car speed limits rise, you get cyclists farther away from the road. 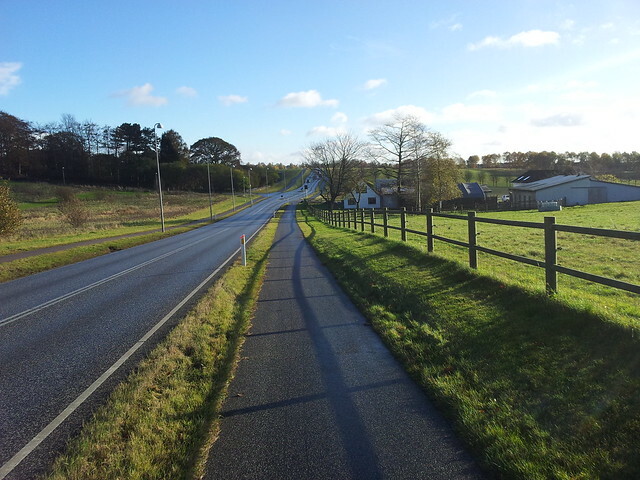 One thing I tire of hearing is "Denmark is so flat". No, it isn't. The Netherlands is. And so is Copenhagen in the city centre. Once you're out of the city centre, however, you meet hills. 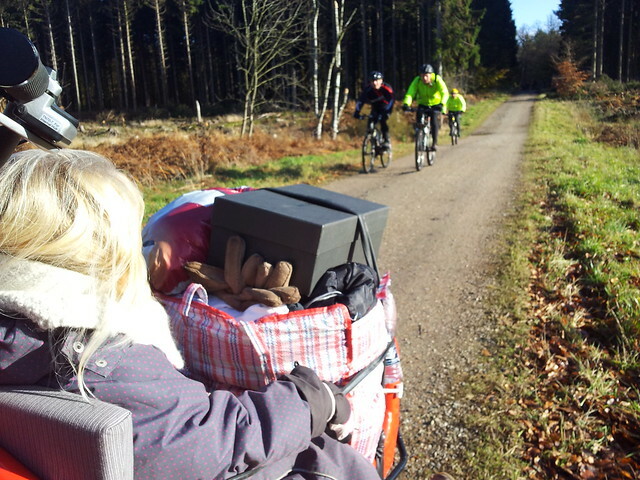 A few were nasty with a fully-laden Bullitt and Felix struggled on some of them, but we made it up every one. When you live in Copenhagen, you forget that much of the rest of the country is hilly, even though we sing the praises of our hills and valleys in the national anthem. But hey. Hills end. Wind doesn't. Give me hills over wind any day. Luckily, the weekend was largely windless so we avoided that evil combination. 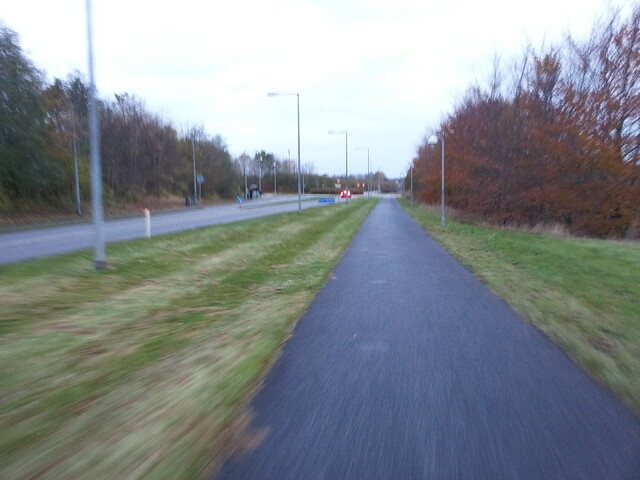 This is an example of a fine, separated cycle track through the countryside. After a lovely weekend with friends, we headed home to Copenhagen. 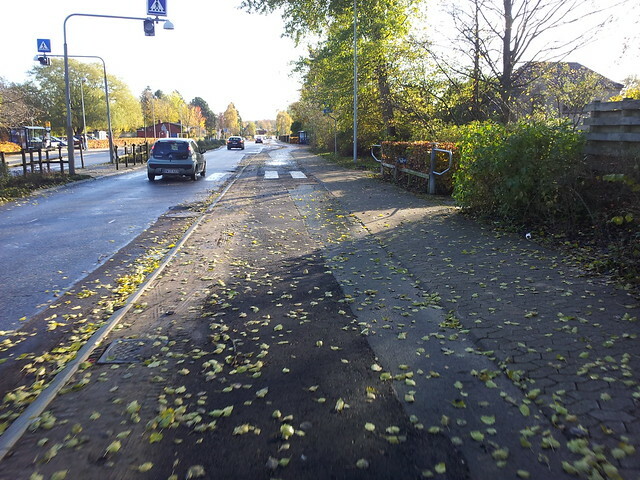 Interestingly, in this article, you've basically seen three of the four types of bicycle infrastructure in Denmark that makes up the Best Practice. There are only four. That's what makes good design. - Separated cycle tracks. The standard when speed limits for cars are above 30 km/h - unless car traffic volume is deemed low then above 40 km/h. Separated from the street with a curb. - Bi-directional cycle tracks. Not used in cities because of safety issues. We threw these out of the Best Practice for cities a couple of decades ago. They serve a great function on routes with few intersections, like along the motorways or bike paths that run through parks, etc. 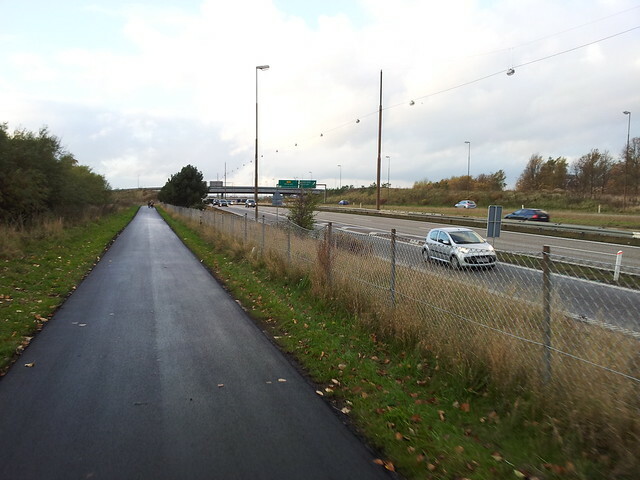 - Cycle tracks separated by a verge - completely away from the road, but running parallel. This is the standard when speed limits for cars are 60-70 km/h or higher. The one you didn't see is what you get on residential streets with a 20-30 km/h speed limit. Then there is no bicycle infrastructure. Bicycles share the street with other vehicles at that speed.